Terry O'Reilly has a lot to say about marketing. 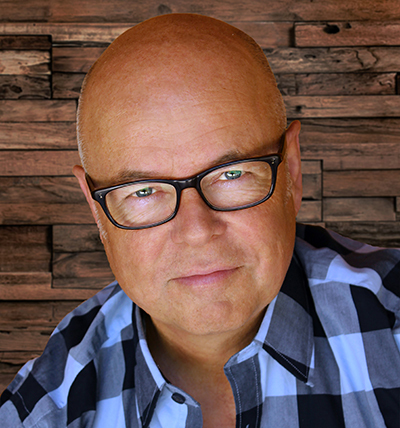 With a resume that spans decades in the advertising industry, he has created award-winning campaigns for top brands including Pepsi, Labatt, Tim Hortons, and Volkswagen. Terry hosts the popular radio show, Under the Influence, and he is the author of two bestselling books, The Age of Persuasion and This I Know. Terry speaks frequently to companies and organizations about the power of marketing. A passionate and humorous presenter, Terry's talks are media rich, showing examples from around the world that delight, entertain and teach valuable lessons that audience members can apply to their businesses. Terry's ideas inspire small companies and larger organizations to get creative when promoting their brand. Local business owners and community leaders will have the opportunity to hear this useful advice first-hand when the Orangeville & Area Small Business Enterprise Centre (SBEC) hosts its annual Bridges to Better Business event on Tuesday, May 14. In Don't outspend them, Outsmart them, Terry will explain why budget should never get in the way of great marketing ̶ all it takes is a different mindset and a different kind of creativity. He will share examples of how small companies can attract as much attention as bigger companies and how humour, drama and surprise can make up for a small budget. Small brands need a big personality: A small company can't compete with a larger company's budget, so it must take to a different tactic, breaking through the clutter with a gutsy, vibrant approach that develops a distinctive personality. Humour is the WD-40 of advertising: Since advertising is an interruption, you need humour to open the sticky door. It makes the intrusion polite and entertaining and gives listeners a smile in return for spending time listening. It also shows that your company doesn't take itself too seriously. Advertising is an art: Marketers would prefer if marketing were scientific with a formula and predictable results. But persuasion is an art. “Yes, there is a place for data and research and algorithms, but it still comes down to a blank page and an idea,” Terry says. Don't Outspend them, Outsmart them will take place at Monora Park Pavilion on Tuesday, May 14th, 11:30 a.m. – 1:30 p.m. with bonus book signing 1:30 – 2 p.m. Pre-registration for this engaging and entertaining presentation is required by May 7th. Visit www.orangevillebusiness.ca to register online or contact the SBEC at 519-941-0440 Ext. 2286. The $25 fee includes lunch. Ellen Sinclair is the Co-ordinator of the Orangeville & Area Small Business Enterprise Centre. She can be reached at esinclair@orangeville.ca or 519-941-0440 Ext. 2270. To sign up for notifications of SBEC programs and events, visit www.orangevillebusiness.ca/subscribe.